The Denmark rise and recline provides flexible support options with a simple touch of a button. 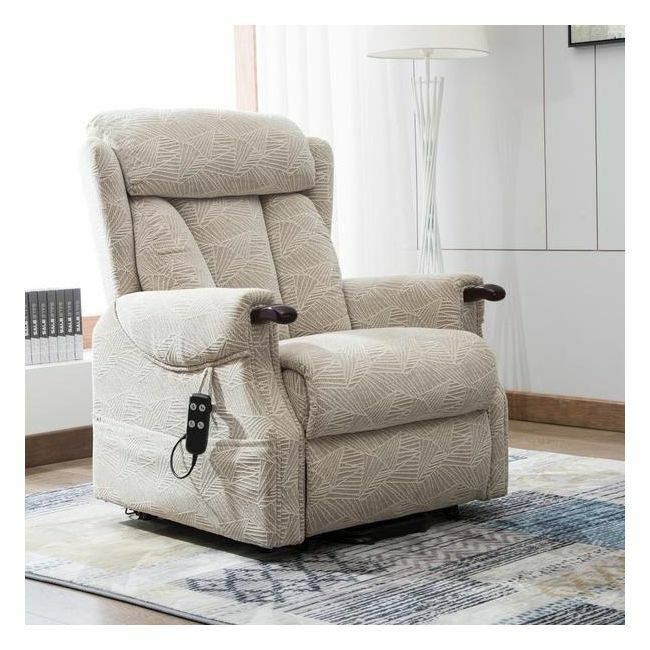 The Denmark rise and recline chair features a dual motor mechanism allowing the user independently operate the leg and back rest to the required position. Supplied in one of the two modern yet organic colours brushstroke mocha and brushstroke cream fabric. The ergonomically contoured seat and back are padded to provide the ultimate support and comfort.